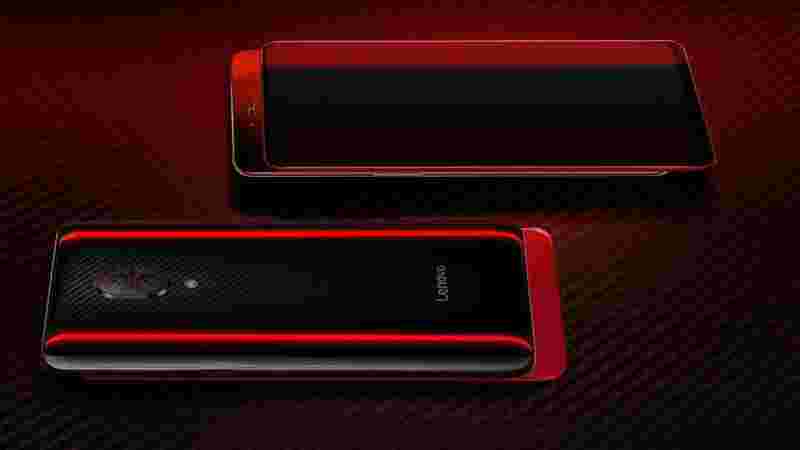 Lenovo finally makes it as the first smartphone OEM to make a smartphone with the latest flagship Qualcomm Snapdragon chip. This, in turn, makes it able to be the first smartphone to feature as much as 12GB RAM. The smartphone will particularly appeal to the lovers of sheer power carried in its spec sheet. Pushing boundaries by featuring quite that much RAM is an evidence that Lenovo is not afraid of being a pioneer. Hopping on the train to offer all screen surface, you’ve got a similar slider design with Huawei Honor Magic 2. This way eliminating the notch or punch hole camera as you might have it. For a smartphone with so much potential, the Lenovo Z5 Pro GT sure delivers an exquisite glass build. Underneath the glass is a carbon layer with a parallel red lining giving it a real sense of aesthetical boost. The back of the smartphone slides up to reveal a dual selfie cam and an IR sensor for face unlock. There is an impressive screen coverage, the front of the phone bordered by a very tiny bit of bezel. Except for the dual camera and flash at the back of the smartphone there is no other highlight here. 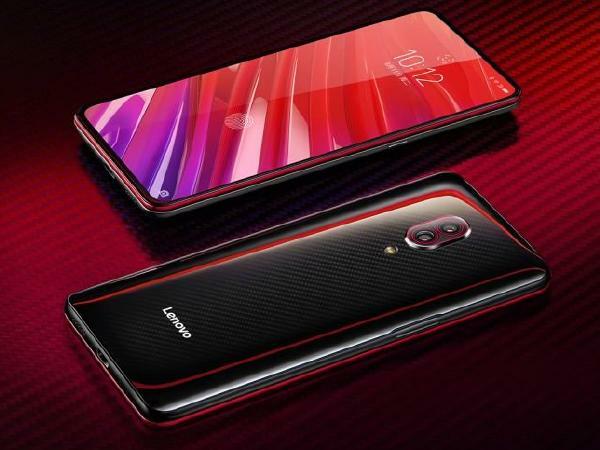 Quite like the rest of the patrician smartphones around, the Lenovo Z5 Pro GT features an AMOLED screen which exudes vibrant colours with impressive contrast. There is also a big screen on the smartphone delivering vivid visual content on the go with enough outdoor visibility. Things are so good on the resolution side with 1080 x 2340 pixels. 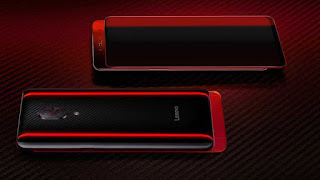 On the battery scene, the Lenovo Z5 Pro GT has about the ideal capacity that caters for the demands of the day. Suited up with a 3, 350mAh Li-Po battery and an efficient power saving chipset to manage it. You should easily get the day’s worth out of the smartphone and a fast charging battery charging with a USB Type-C port to plug in to. The smartphone is also qualified for a decent photography exploration and low light capture. Equipped with a duo for snapping from the rear and front, it has a 16MP camera alongside a 24MP telephoto rear camera. On the selfie side, you’ve got a 16MP camera. and an 8MP supporting sensor popping up sliding from the rear. Featuring the best of one of the greatest chipset maker speaks volume to how good the smartphone is on the inside. Unleashing the powers of the Qualcomm Snapdragon 855 and Adreno 640 GPU. You should have no complaint about speed or performance on this end, even heavy gaming would go easily on this smartphone. The smartphone can be gotten in a 6GB RAM with 128GB ROM, 8GB RAM & 128GB ROM, 8GB RAM & 256GB internal storage alongside a special variant with a mammoth 12GB RAM going with storage space in the excess 512GB. No memory card is supported, however, there is Android 8.1 with a ZUI 10 laid on top. The 6GB/128GB model goes for about 145, 000 Naira, 8GB/128GB at around 161, 000 Naira, 8GB/256GB about 182, 000 Naira and the 12GB/512GB for a whopping 236, 000 Naira depending on the deal.